In a nutshell, the school must provide FAPE (free appropriate public education) through an Individualized Education Program (IEP) that is designed to meet your child's unique needs and from which your child receives educational benefit. Because a child's special education program is individualized to meet unique needs, the services in IEPs will vary from one child to the next. How can you tell if your child is receiving educational benefit from her special education program? 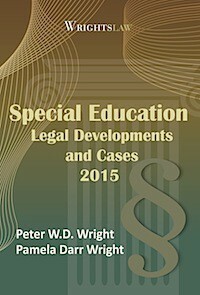 This issue of the Special Ed Advocate will help you understand how courts have defined a "free appropriate public education" for children with different disabilities and needs. Learn how to compare educational achievement test scores over time, so you will know if your child is receiving educational benefit. We strongly recommend that you read this article three times. Use a highlighter. Make margin notes. Be patient and persistent - don't give up! 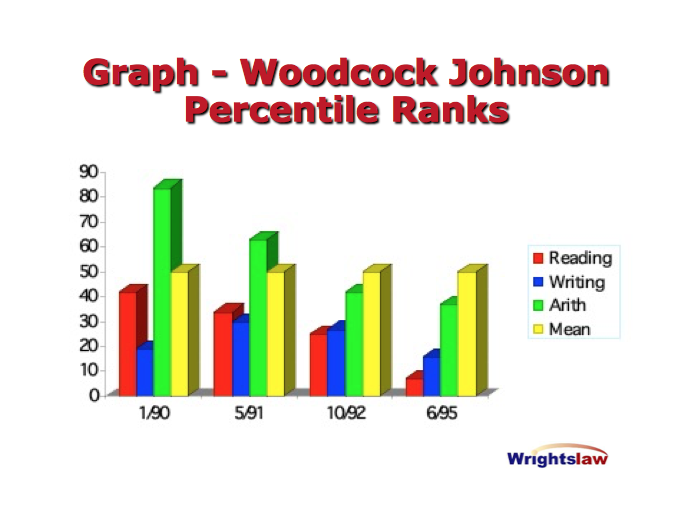 how to use test scores to show educational benefit - or lack of benefit. In Endrew F. v. Douglas County School District RE-1, the parents advocated for a heightened 'meaningful educational benefit' standard and requested that the Supreme Court resolve their question. 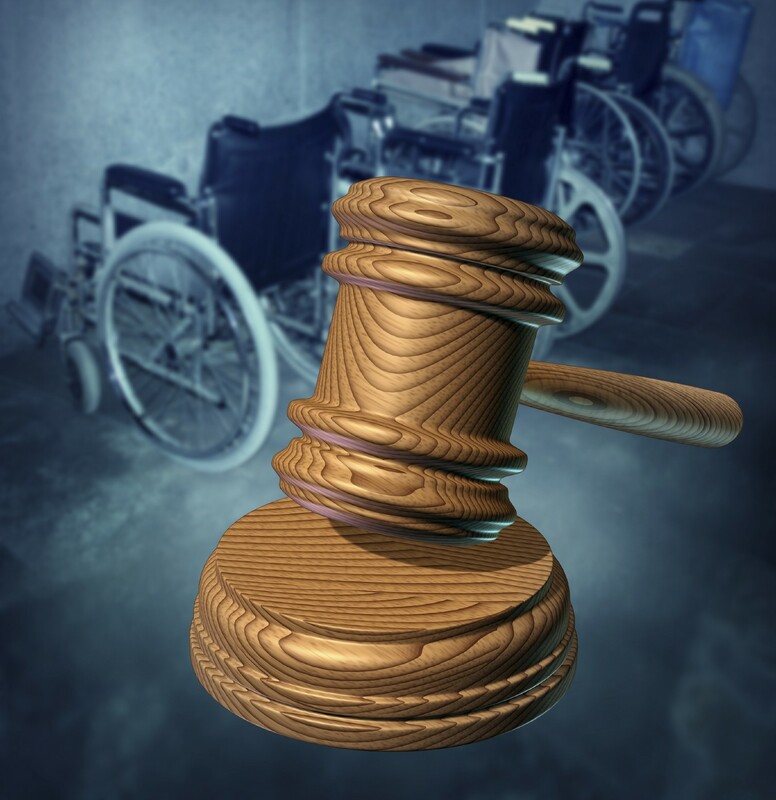 On September 29, 2016, the U.S. Supreme Court agreed to hear the case. Wrightslaw will post updates as the case proceeds. Sommer Boss had speech language and reading problems. The school retained Sommer but did not provide her with any remediation for her reading problems. The Court ordered tuition reimbursement. 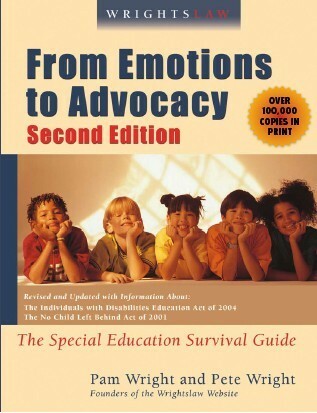 You will find FAPE defined in IDEA at 20 U. S. C. § 1401(9) in Wrightslaw: From Emotions to Advocacy, 2nd Edition, page 140. 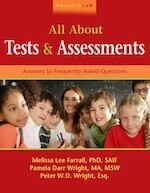 Chapters 10 and 11 explain how to use test scores to measure educational benefit.